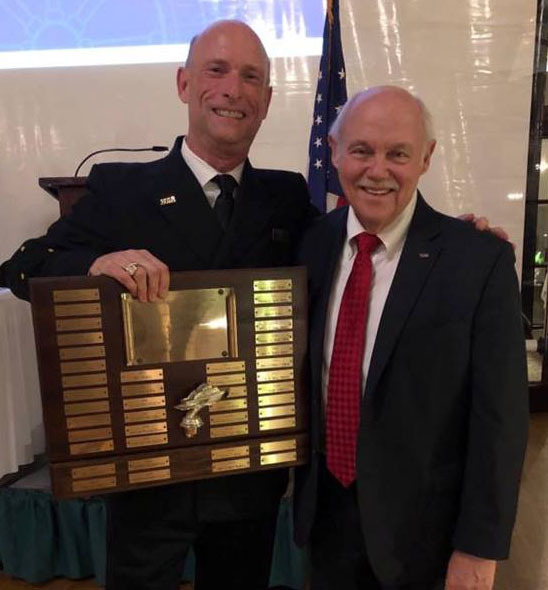 Director (and Rear Commodore (Ret)) Mark Lifter was recently presented the Theuerkorn Award by the Detroit Yacht Club for his outstanding contribution to that organization. Mark has been the President of the DYC Foundation since its formation which has overseen the restoration of the historic DYC building which is on the National Register of Historic Places. Mark received the award from DYC Commodore Ray Batt. Also an active member of the GLCC, Mark is currently a Director, was Rear Commodore, Region 47 for 5 years and is Port Captain, Detroit (M-54).